I’m back in action after some time off for Easter Break. As much as I enjoy lazy mornings, I am glad to be back to our routine this week. On Monday I shared all the things I learned about kids throwing paint. Oops – what I meant to say was kids creating art with eggshells filled with paint. On Wednesday I shared our trip to an Irish prison museum. You just never know what you’re going to get when you come here, do you? Also, on a housekeeping note, I’ve been organizing my 4 years of blog content. It took me what felt like 10 years to do that. Now you can find projects and stories by type on the main menu. I also have a Shop page where I am trying my best to round up current affiliate links to products that I’ve included in my blog posts. I have an explanation of affiliate links and how they help keep this blog running here. Let’s get down to this week’s Happy List. I’d like to imagine this is my reality. 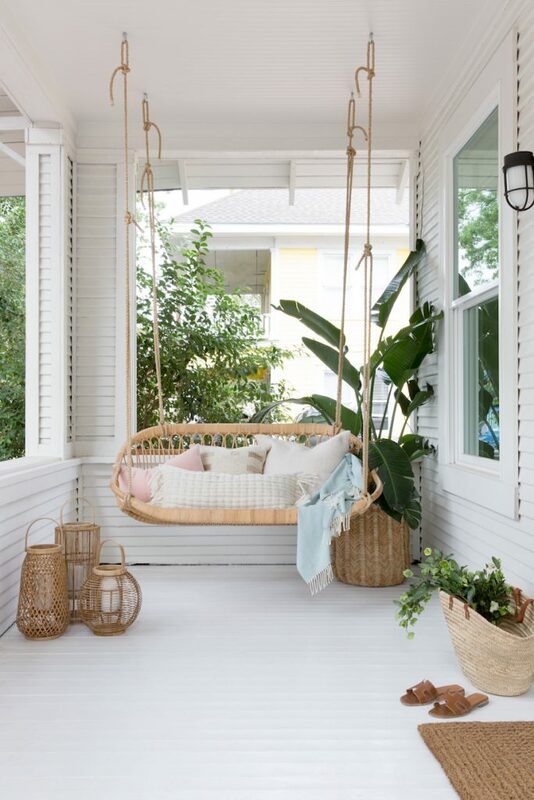 In my ACTUAL reality, those pillows would be getting dirty on the porch floor and a kid would be swinging wildly from the top of the swing. But my daydream is nice, so I think I’ll just linger awhile over this beautiful image by Camille Styles. Hop over to see more photos of this space! I can never say açaí correctly. Ah-Sah-EE. Therefore, I don’t think I’m qualified to eat it. Here are some other tricky food names and how to pronounce them correctly from Business Insider. Also, because I’m tired of seeing açaí bowl recipes everywhere, which I think is just a smoothie in a bowl, I thought I’d give you a picture of açaí in a glass. I’m pretty sure I’m qualified to drink this! 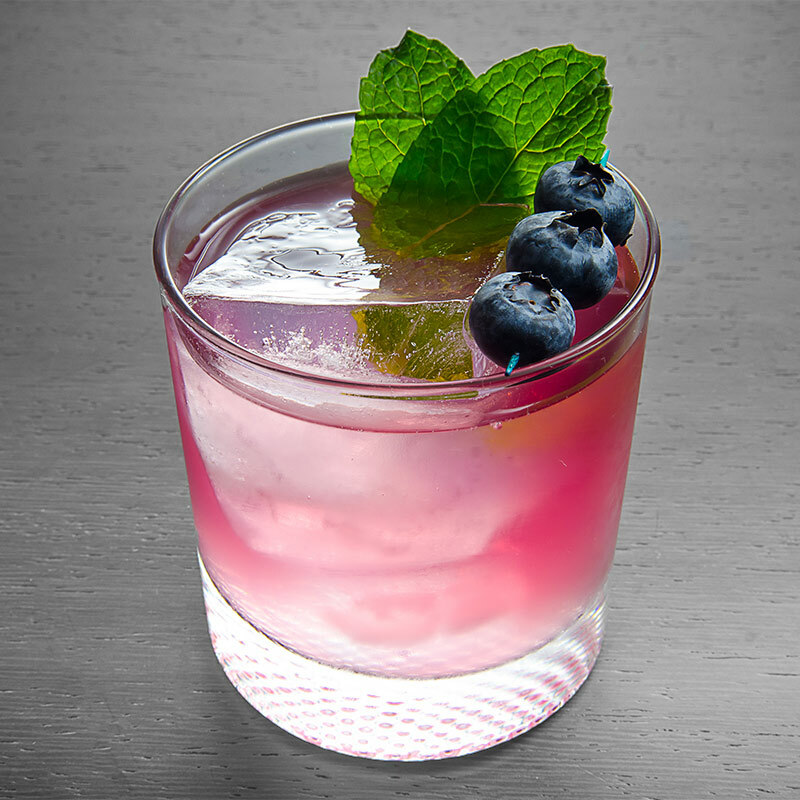 Find the Açaí Blueberry Mojito recipe at Liquor.com. I don’t know why you don’t see this more often, but I like that the back of these cabinets is the tile wall. I guess that makes them backless cabinets? Am I the last to know about kokedama? 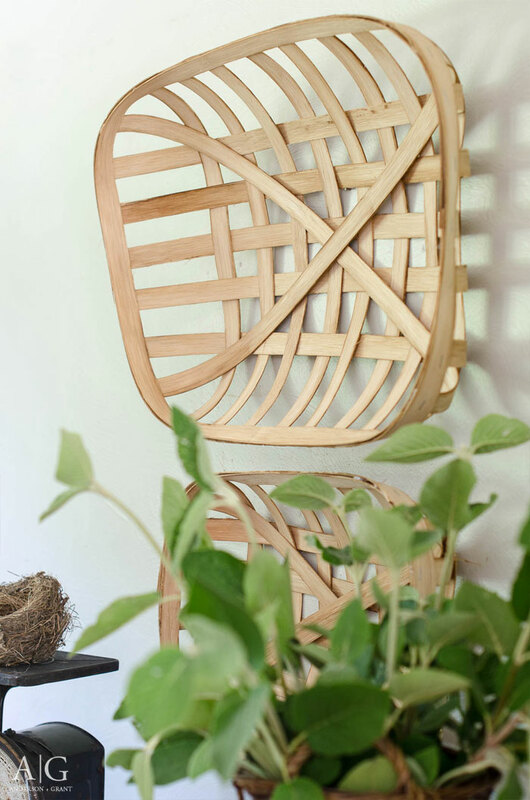 This is the Japanese art of creating pot-less plants for your home. It looks kind of cool and funky, right? 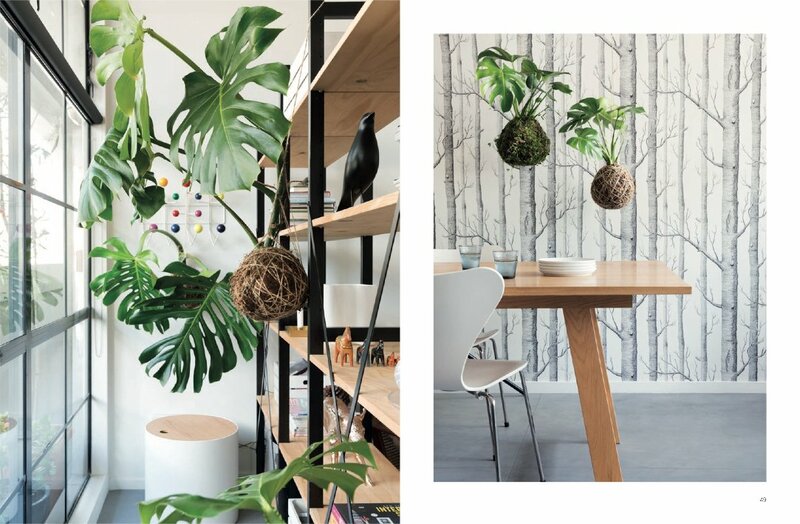 The book Hanging Kokedama: Creating Potless Plants for the Home by Coraleigh Parker takes you through the steps of making your own including what plants (and trees!!!!) do well, the type of soil, how to wrap the twine, etc. I can barely keep regular houseplants alive. What do you think my chances are with this? 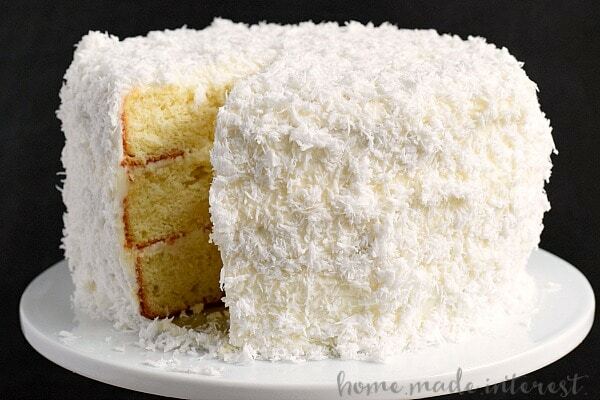 If I ever feel ambitious, this coconut cake by Home Made Interest looks so pretty. Apparently, you have to use REAL coconut, not the pre-sweetened stuff. You don’t have to shimmy up a coconut tree or anything. Real coconut can be found in your grocery store’s freezer section. But if you do climb the tree…take a picture and send it to me. Can you guess what this letter board is made from? Can you? It’s from a hula hoop! Creative, right? Get the full tutorial from Salvage Sister and Mister. 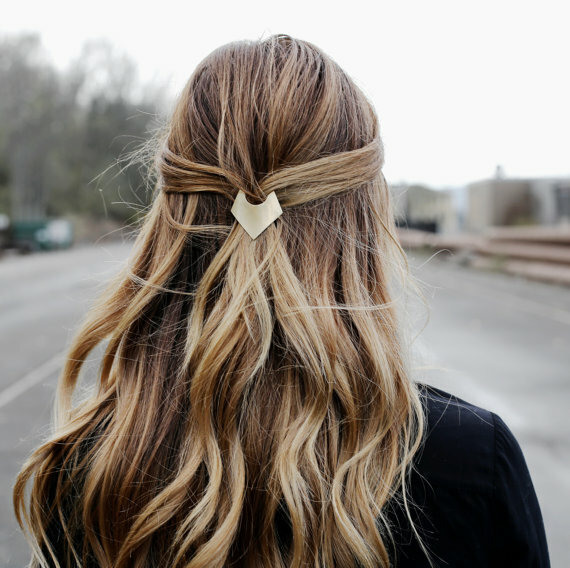 I thought this gorgeous brass barrette was a little spendy, but this Etsy shop sends 10% of its profits to non-profit organizations. I was skeptical, but after seeing the tutorial by Anderson and Grant, a DIY Tobacco Basket seems totally doable and A LOT cheaper than the real thing. 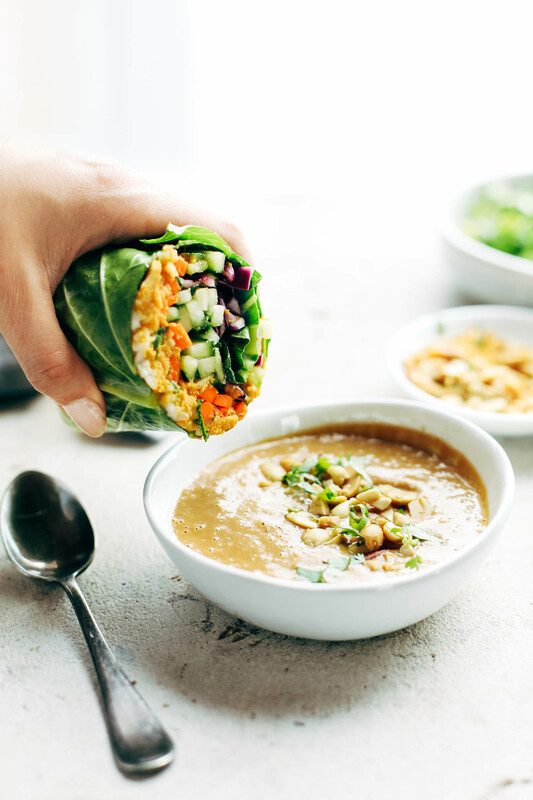 These Detox Rainbow Roll-Ups with Peanut Sauce from Pinch of Yum are my kind of detox. If I eat these roll-ups while drinking the acai-blueberry mojito from above, is it still a detox? Was it ever a detox? 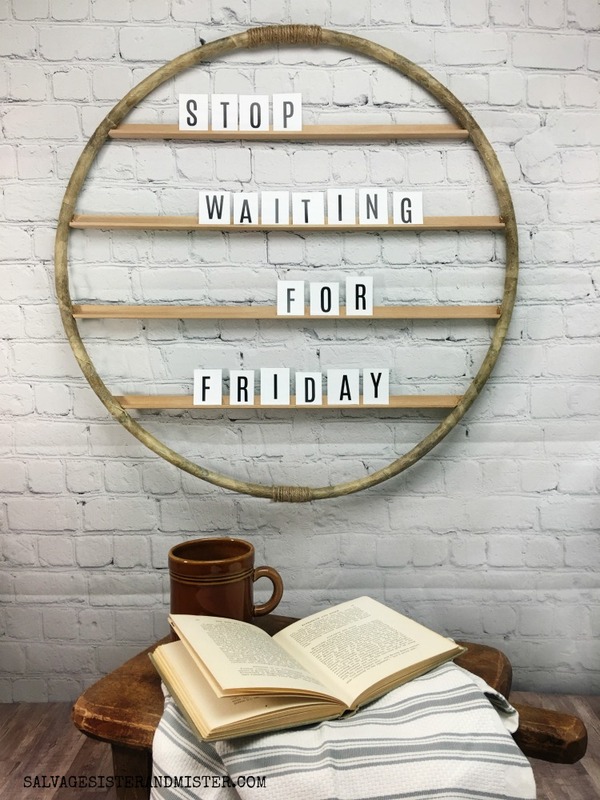 Have the happiest of Fridays, folks! See you next week.